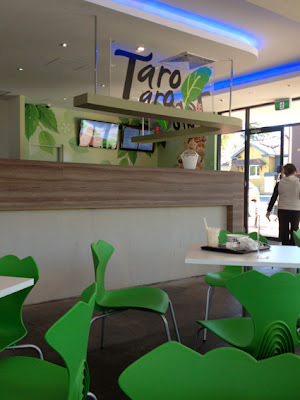 Taro Taro is probably the only asian dessert place in Perth at the moment. They are from Taiwan. I was really excited to see their opening and were eager to try their dessert! Their dessert is basically shaved ice and top with whatever toppings you like! 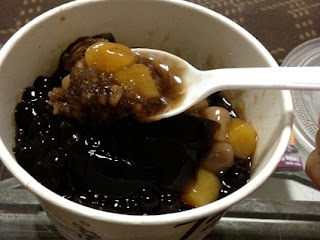 They have plenty of choices but the one that I like and probably is the popular ones are grass jelly, taro balls, sago! 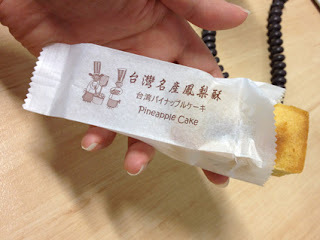 Cooling dessert! 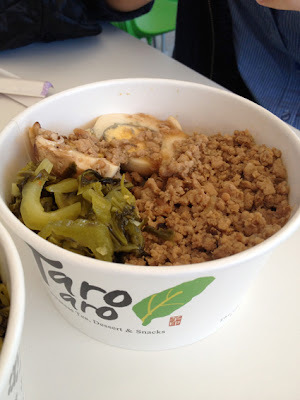 and I had the Taro Taro's Special as well. 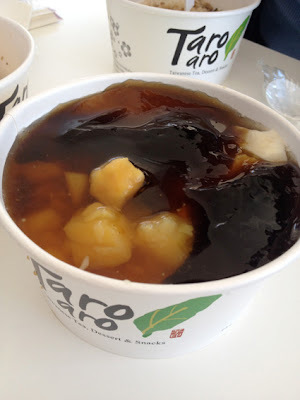 Which is Shaved ice, taro balls, sweet potato balls, sago and grass jelly. Honestly, it is quite a big tub of dessert! So, small eater, please share! 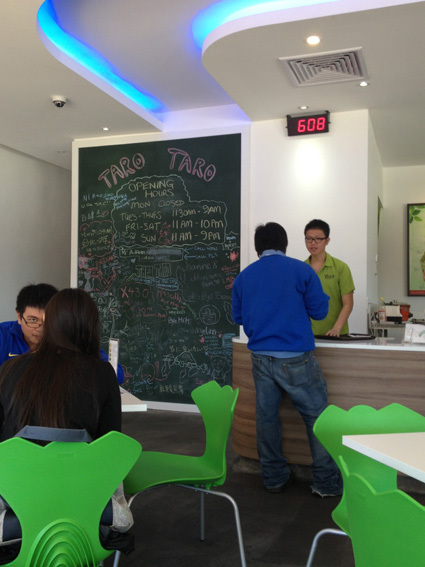 Taro taro not only serves dessert, they have some normal meals too! 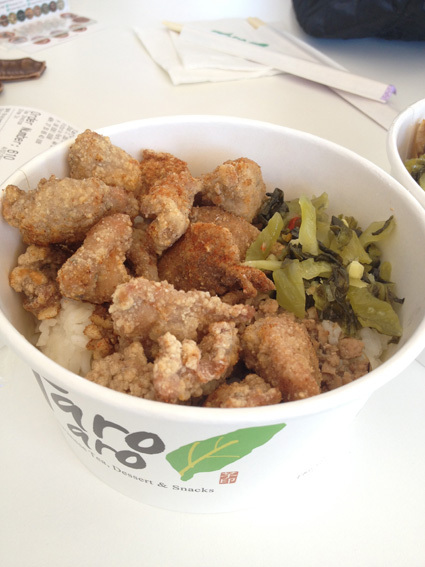 They have the famous XL size fried chicken, mince meat+braise egg+preserve vegies Rice, and Oyster noodles. That day that I went, I was looking forward to try their Oyster noodles! Unfortunately, they were out of stock... So I'm stuck with fried chicken+preserve vegies and rice. It was not expensive and there was a lot of rice! I like the preserve vegies, they are very tasty and I was hoping for more! This is the Mince meat, egg and preserve vegies Rice. Oh, and they have the Taiwan famous pineapple cake too! Go try it one day!